As many of my viewers know, I got married this past August and had an amazing wedding followed by an amazing honeymoon! We started off the honeymoon in Wales to celebrate with my husband’s family. My mom and two of her friends even came to partake in the celebrations! We sure did eat a lot during our few days in Wales. One of the highlights of our meals was dessert, or “pudding” as they would say in the UK. 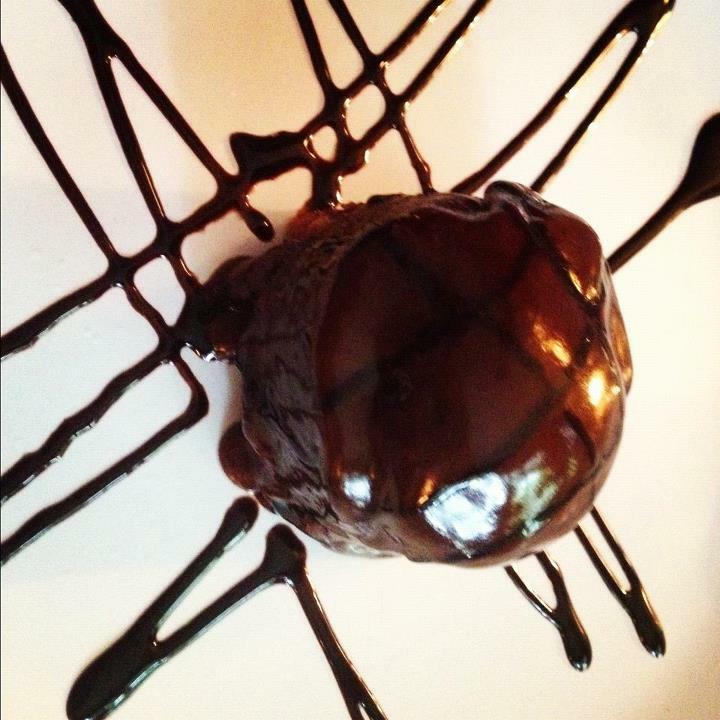 Pudding is not the pudding Americans think of, but instead, the course of dessert is referred to as pudding. My mom, her friends and I would order a couple and to share so we could taste them all. It was so fun… and delicious! Below are a selection of the puddings we sampled on our Welsh journey. Hot Chocolate Pudding: This pudding was rich, creamy, warm and full of chocolate flavor! It was the perfect chocolate pudding. 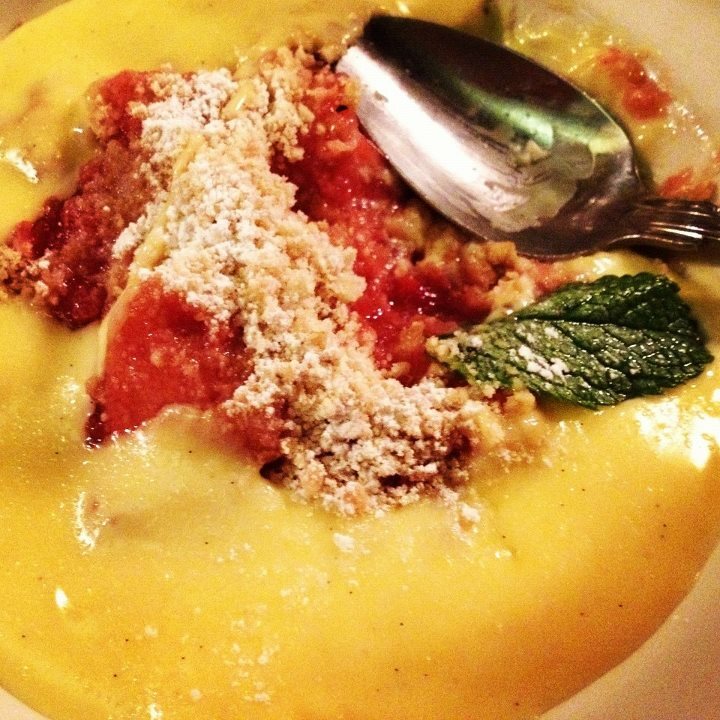 Apple & Wynberry Crumble: This was by far my favorite dessert. The crumble was served with hot custard and the combination of the rich custard and the tartness of the berries was delicious! Sticky Toffee Pudding: This was a close runner-up for me. This pudding was warm, gooey and covered in a toffee syrup. 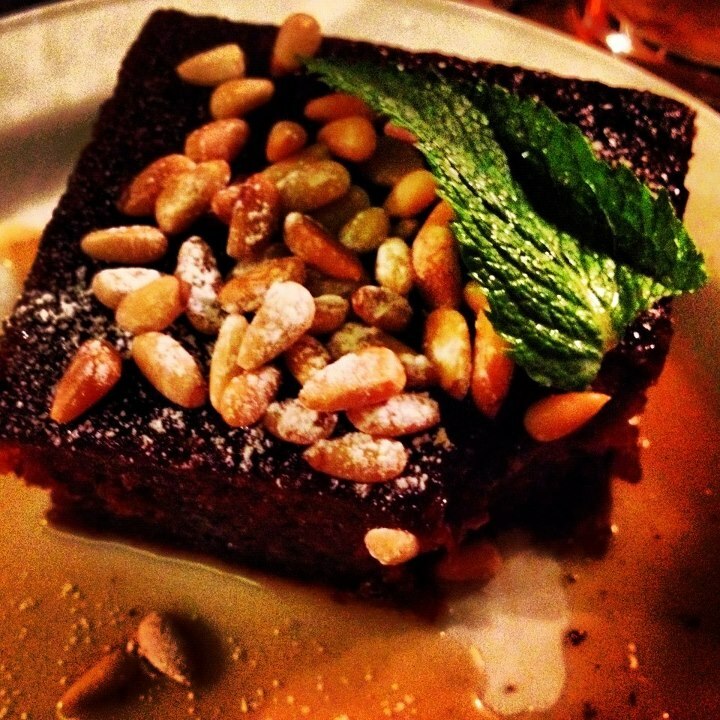 The pine nuts on top added an unexpected nutty flavor that toned down the sweetness of the toffee. 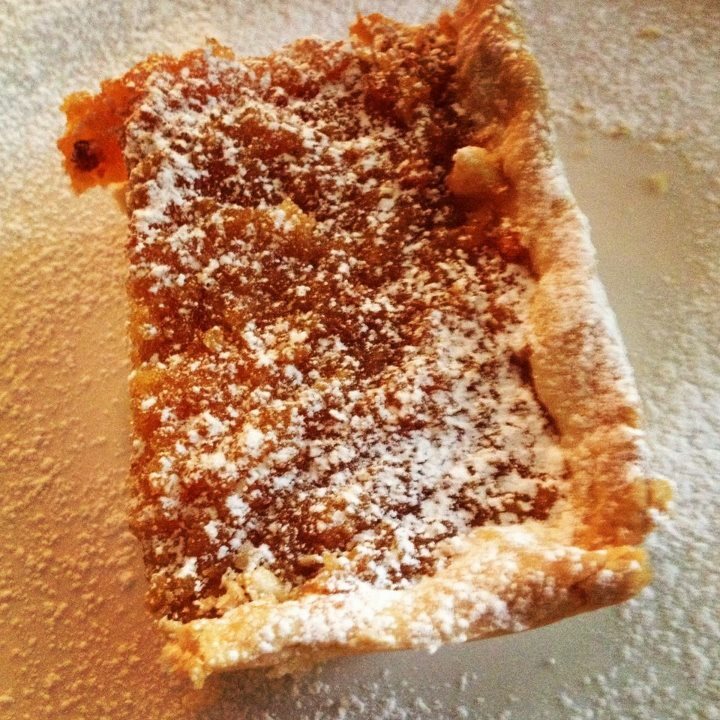 Treacle Tart: Treacle is a syrup made from sugar that has a similar taste to caramel. This tart had a flakey, warm pastry crust and was filled with sugary, caramel deliciousness. 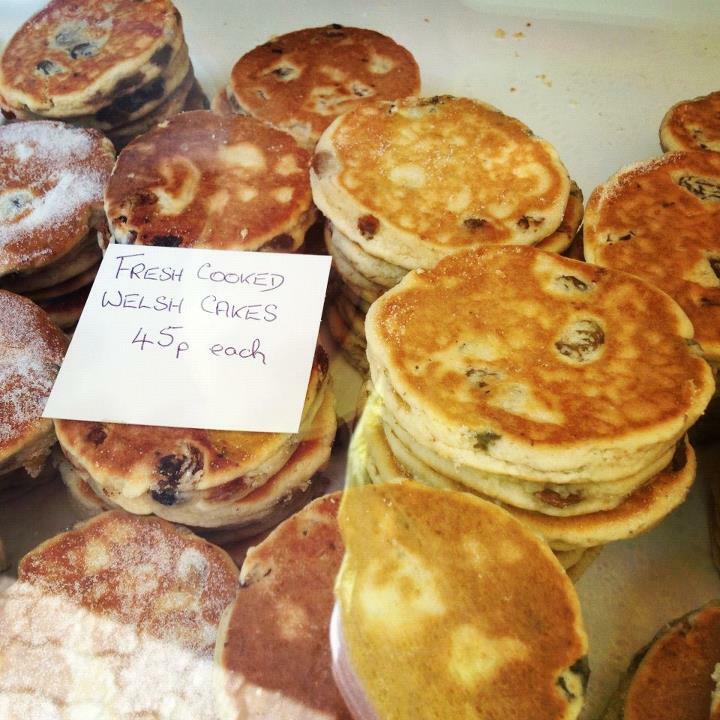 Welsh Cakes: These are one of Gareth’s favorite sweets, so when we were on a day trip in Hay, we stopped in to a bakery to get some for him to nibble on. They have a dense texture but aren’t overly sweet. They have a mild sweetness that is nicely accompanied by the raisins and a sprinkling of sugar on top.